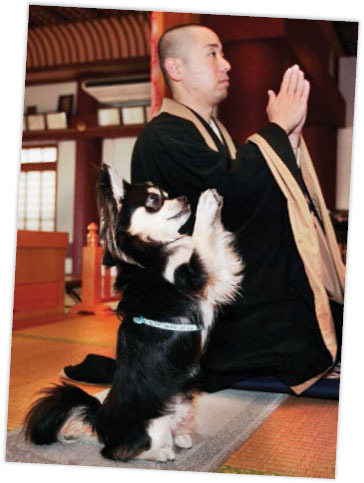 A praying dog has been found in a Zen Buddhist temple in Japan. Conan the Chihuahua joins in the prayers by copying his master, Joei Yoshikuni. The remarkable dog prays in front of the temple’s altar as he sits on his hind legs and joins his front paws together.